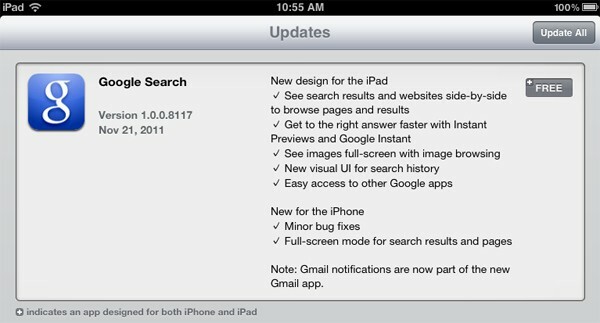 Dismayed that Google's previous iOS tablet app was merely a thin wrapper around a glorified web view? That duress ends today, as the company's just released a significant overhaul to its mobile search app -- one that, frankly, makes it worthy of your home screen. Headlining the release is the ability to view search results in a slidable tab, enabling you to quickly oscillate between search results and those you've tapped. Also present are instant searches, which pre-load results as you type, and previews which visually display findings in a spiffy carousel. If you're already sold, take it for a spin at the source links below, but before you go, peep the changelog past the break.